Ellen guides individuals, public and private companies and nonprofit organizations across a variety of industries with respect to real estate acquisition, sale, leasing and financing transactions. 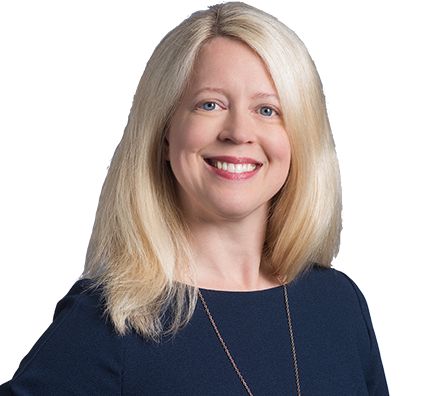 Ellen represents landlords and tenants on office, retail and industrial lease negotiations and counsels lenders and borrowers with respect to regional and national commercial real estate mortgage loans. She has closed millions of dollars of commercial real estate purchase, sale and lending transactions. Healthcare clients rely on Ellen to negotiate and document multimillion-dollar purchase and sale transactions, as well as leases for healthcare providers and administrative staff. She provides holistic legal counsel to real estate investors in the development and management of successful real estate projects. Ellen also advises education clients with respect to a broad spectrum of issues and opportunities related to their real estate assets. Retail clients turn to Ellen for her attention to detail and forward thinking in negotiating leases for new spaces, particularly in light of the challenges posed by e-commerce and other industry shifts. Ellen also has represented developers, purchasers, borrowers, lenders and investors in connection with renewable energy projects in Texas, Missouri, Kansas and Nebraska. Represented large hospital system in structuring, negotiation and consummation of multimillion-dollar purchase and lease transaction for several buildings to be used for administrative and patient care purposes. Provided counsel and assistance to nonprofit hospital system in connection with sale of numerous hospital and medical office building sites. Represented hospital foundation in acquisition of properties in vicinity of hospital campus for future development. Represented hospitals and physicians – in landlord and tenant capacity – in drafting, amending and enforcing lease agreements. Represented lenders on term financing of 200-megawatt wind project in eastern Nebraska. Advised Duke Energy with respect to acquisition of 131-megawatt CimarronII wind project in southwestern Kansas. Counseled lenders on construction and term financing of $240 million, 150-megawatt wind project in Missouri. Represented investor in $145 million tax equity investment for 60-megawatt wind project in Nebraska and Kansas. Ellen enjoys traveling, listening to live music and playing tennis. She returns almost every year with her husband, four children and extended family either to a mountain retreat in Colorado or a beach getaway in Provincetown, Massachusetts. She and her husband have enjoyed dozens of concerts together – a favorite date night activity – over the years. Ellen also looks forward to playing tennis in a Kansas City-area women’s recreational league once a week. Ellen helps guide the firm’s Retail Institute, established to assist industry stakeholders in addressing their common challenges. The Institute plans panel discussions and educational sessions and authors articles discussing the challenges traditional retailers face from e-commerce and other industry changes. Ellen addresses leasing considerations as retailers move from big box anchor to boutique spaces, modify traffic patterns to accommodate ride-sharing services, and adjust the mix of tenants to add restaurants and service providers. Visit Husch Blackwell’s Retail Institute site.